Brewers n Packers: Packers Offensive Line who plays? Packers Offensive Line who plays? 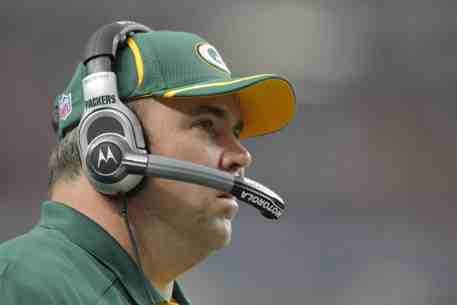 Packers Mike McCarthy wants Chad Clifton to be ready to play, that's great we need some depth at the line, but Chad has not played since like week 5, how many snaps can he play? Detroit is coming at us full Tilt! you can bet on it, will our line be up for this onslaught, and how long will Rodgers play? very interesting questions remain for this match up. I say stay with Newhouse, he has performed well and has more than helped the packers Offensive line get the Pack to 14-1. give Clifton some snaps and shake the rust off, but if we have any more injuries he will have to play. I have to say Jermichael Finley has thrown a wrench into things also, does he want to play or not? for all the flack he has taken for dropped balls and such, I am starting to wonder who he is, for someone wanting a big contract he has to show his worth, in my opinion he is not doing that, plain and simple. Hey Mark, Nice blog!! Not sure how much I'll comment, but will check in for updates. Obviously, still stunned from Braun news! Very unhappy with Packers Finley. I know it's not a Bucks blog, but how about Jon Luhr! !